Finally, we at least made it into a building. Unfortunately we aren't going to make it far. 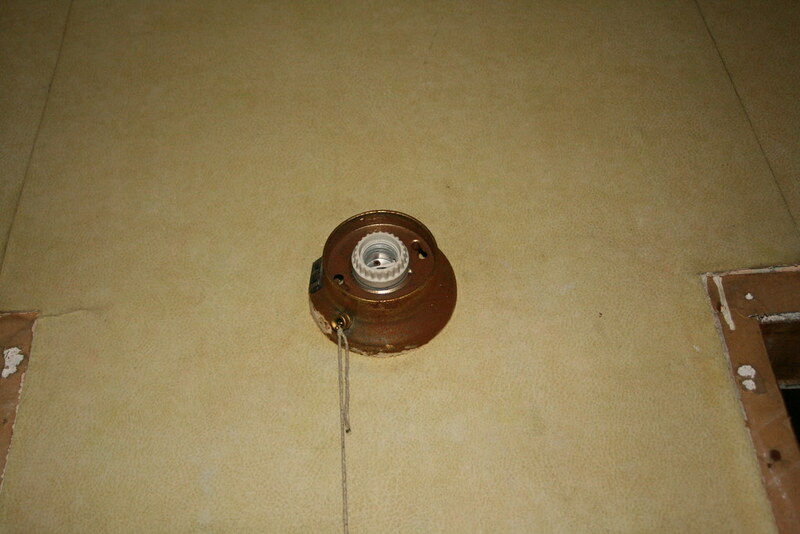 Inside some kind of old staff house, I noticed this light socket. 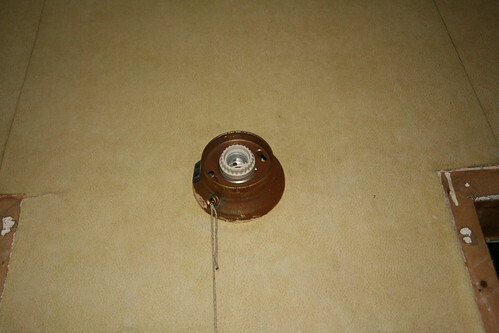 Reminded me of a similar light socket from the Pines Hotel old Ritz building.